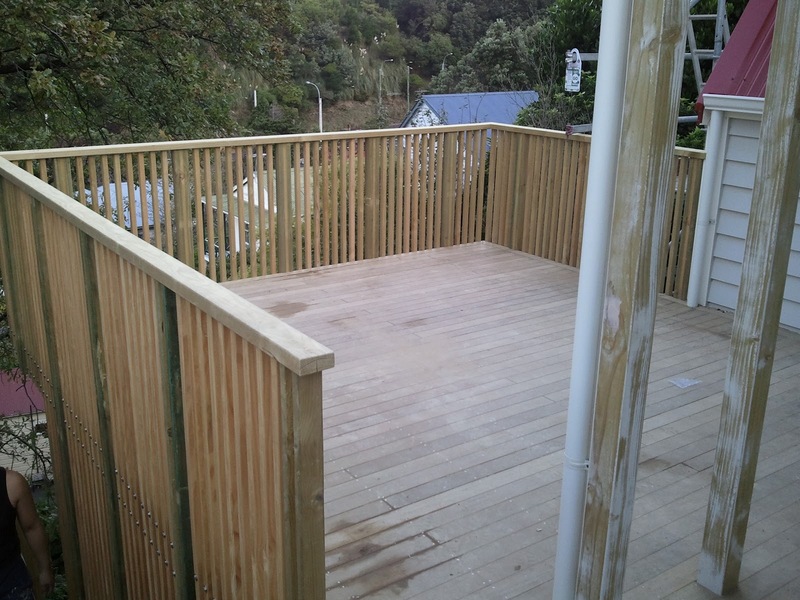 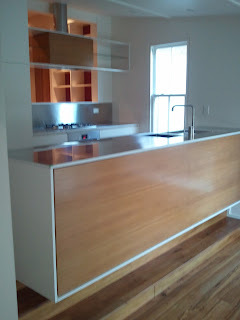 We did a range of jobs on this villa - mostly a lot of hardware, a deck, bench seat and a range hood. 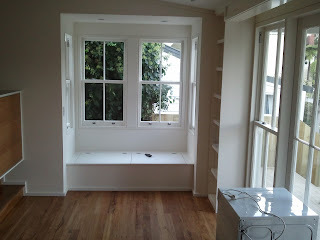 Bench seat with lift up top so you can put things inside. 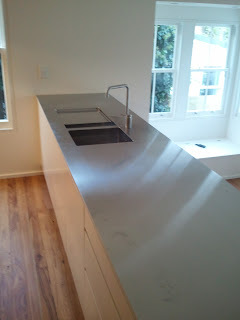 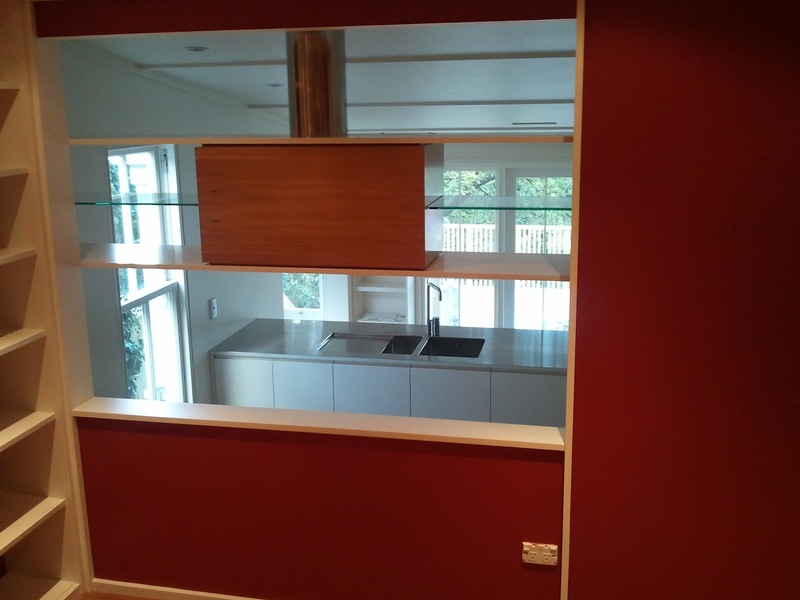 Cantilevered kitchen bench - to do this we had to bolt brackets to the joists. 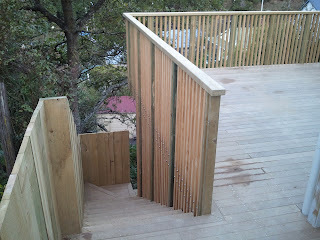 It's a little hard to see but if you look closely you can see how the front is hanging - the back is up a step. In this picture you can see how the floor level is higher on the left than the right side (that's the floor on the right below the window seat) because of the cantilevering. 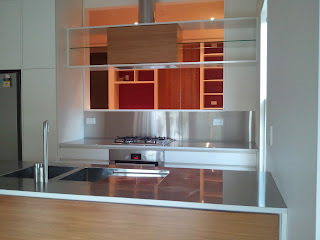 The silver part in the middle is the range hood which we suspended. 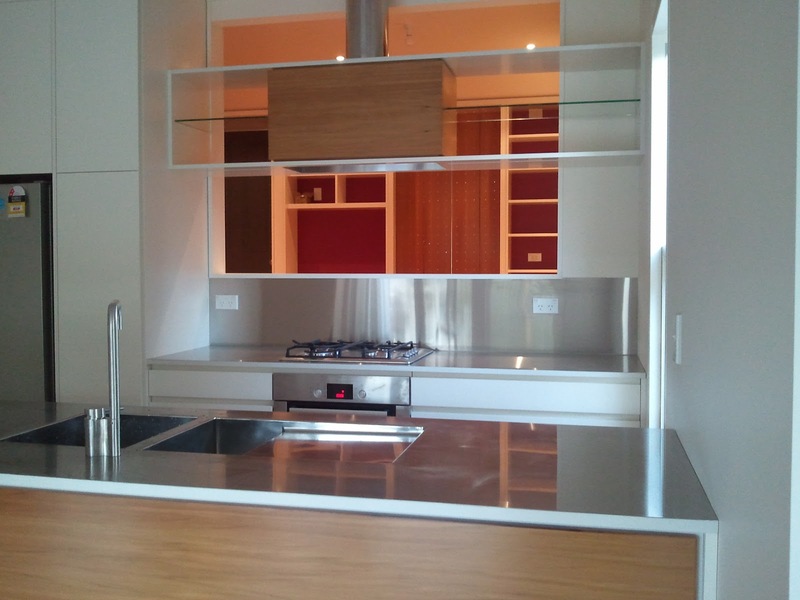 This picture shows the suspended range hood. 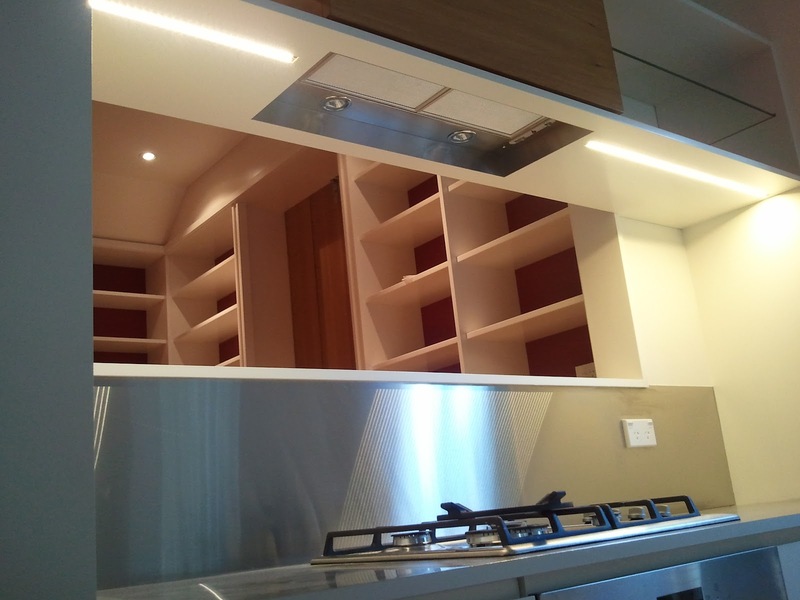 To do this we suspended the cabinet and range hood with threaded rods hidden in the stainless steel tubing and bolted to the rafters so it would hold up the cabinet and range hood.